You’ll be begging these items to be your guest. 1. 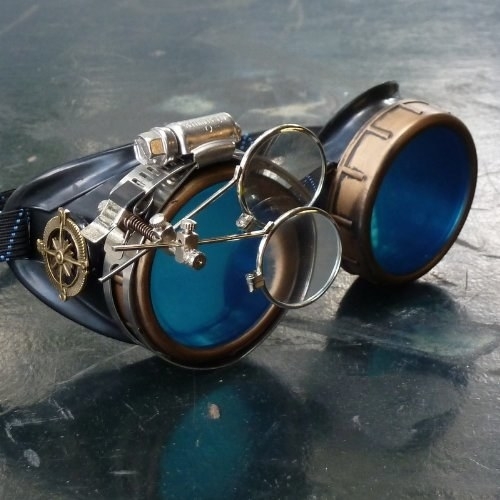 A pair of magnifying glasses that even Maurice would be jealous of. 2. 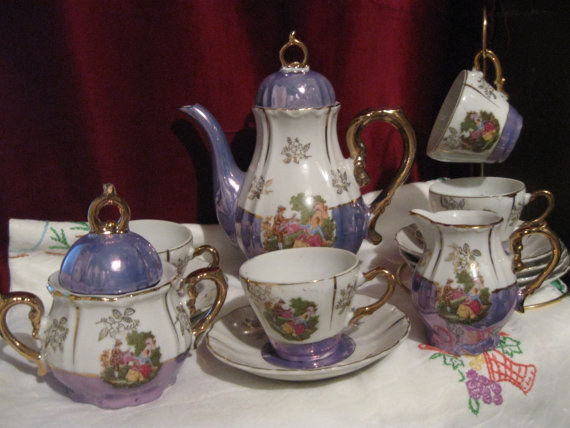 A gorgeous tea set that looks like Mrs. Potts and Chip. Get it from Vintaqueous on Etsy for $48. 3. 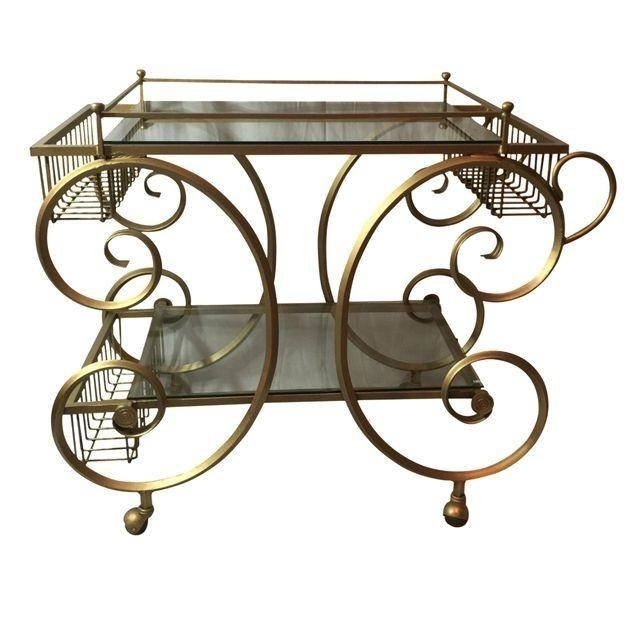 And a gold bar cart for it to sit on. Get it from Chairish for $475. 4. 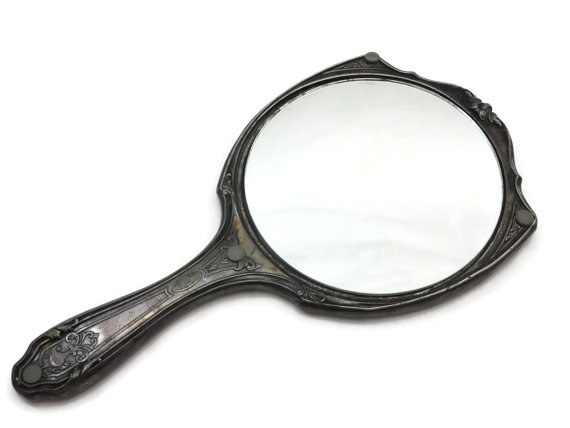 An elegant hand mirror that is surely enchanted. Get it from VintageInBloom on Etsy for $26. 5. 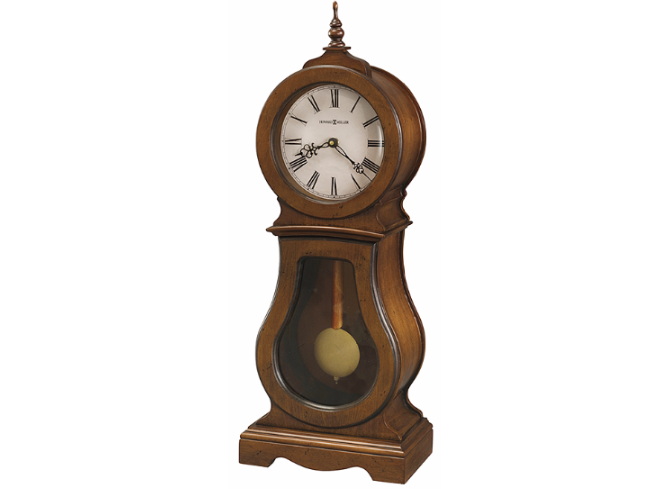 A handsome mantle clock with the perfect handlebar mustache — just like Cogsworth's! Get it from Wayfair for $329. 6. 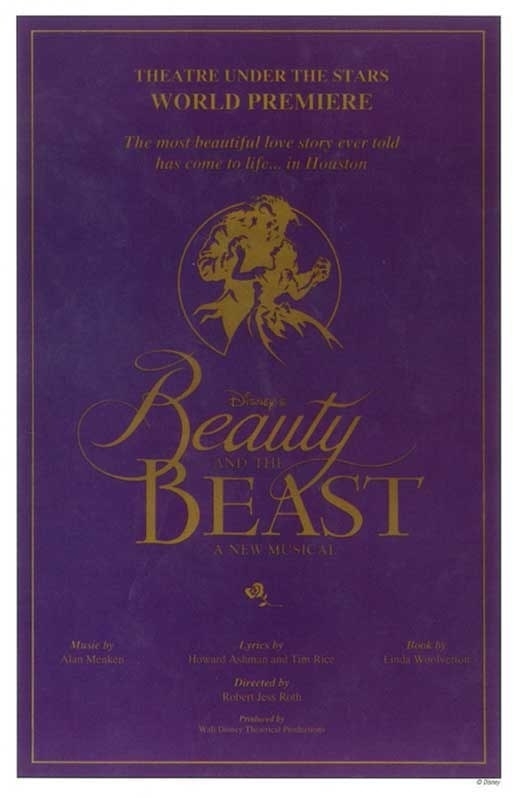 A timeless throwback poster from the Broadway premiere of the Beauty and the Beast musical in 1994. Get it from Movie Poster Shop for $19.99. 7. 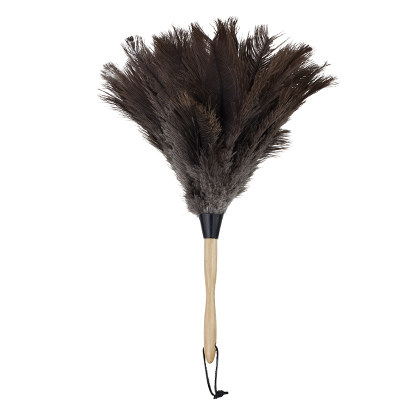 An alluring feather duster that no grubby mantle — or charming candlestick — can ignore. Get it from Casabella for $17.99. 8. 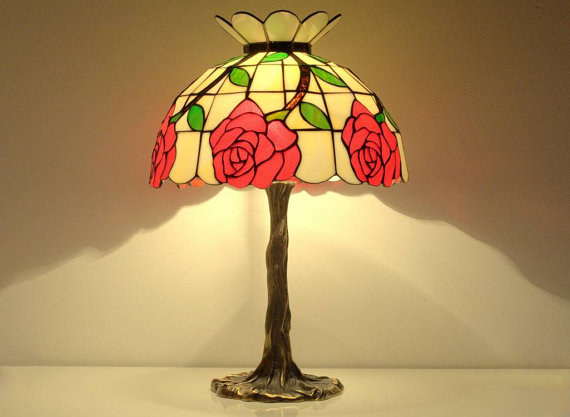 A stained glass rose lamp that is beyond magical. Get it from Amber Glass Art on Etsy for $246.99. 9. 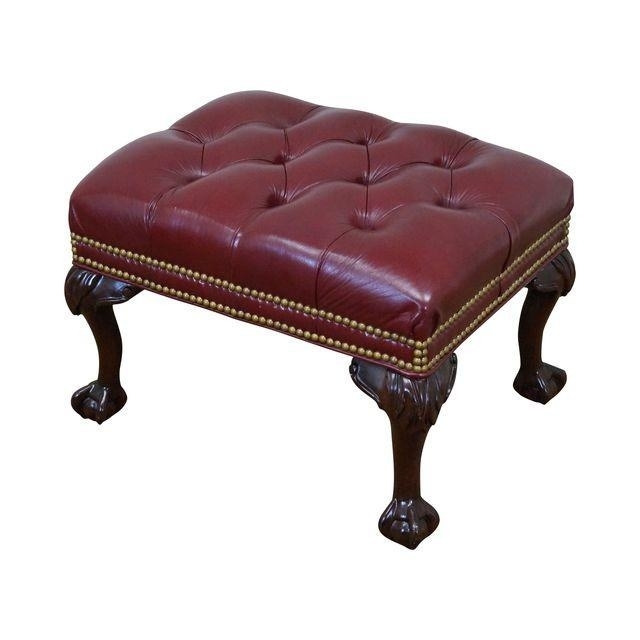 A burgundy footstool you’ll love as much as Sultan. Get it from Chairish for $595. 10. 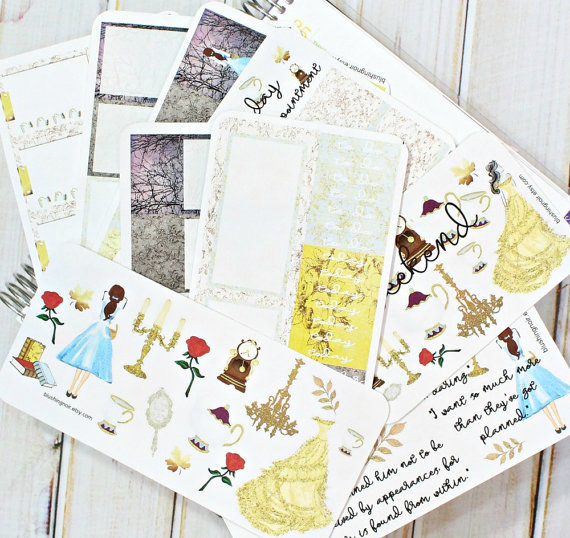 Adorable planner stickers to keep your life and reading schedule in order. Get them from Blushing Noir for $24.95. 11. 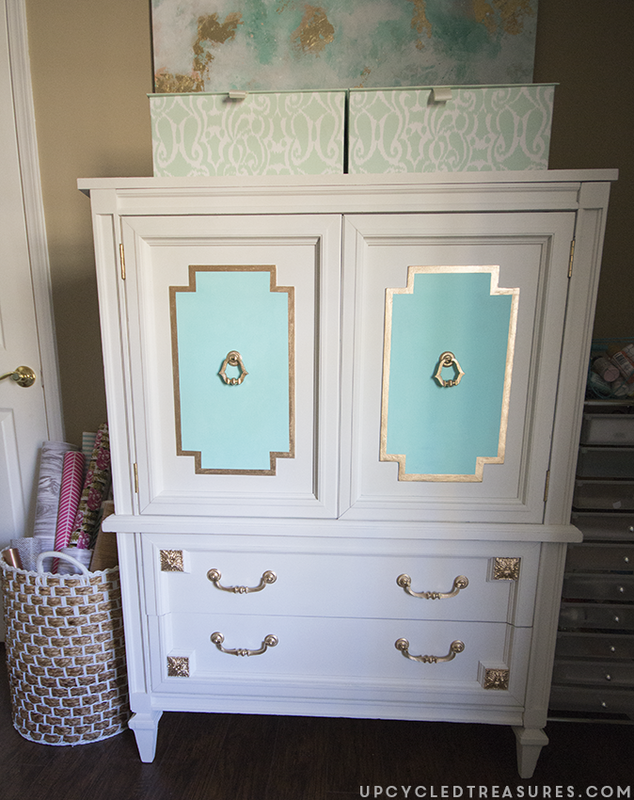 This upcycled wardrobe that could easily be Madame de la Grande Bouche’s twin sister. Upcycled by Mountain Modern Life and Upcycled Treasures. 12. 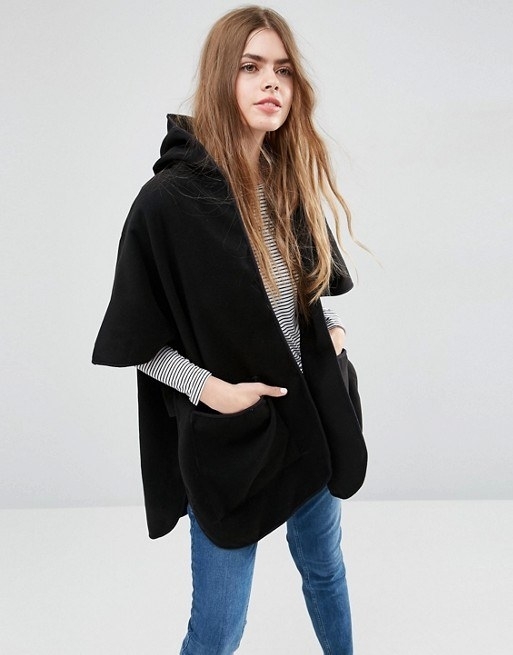 A dramatic black hooded cape in case you run into a glittering, prince-transforming rain shower. Get it from Asos for $52. Available in 1 color, one size fits all, with free shipping on orders over $40. 13. 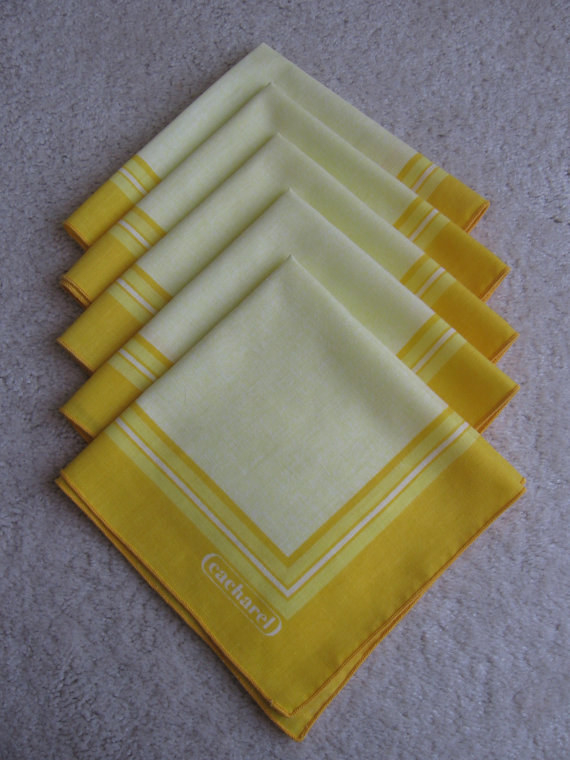 Vintage yellow napkins that make you want to twirl. Get it from My Vintage Table on Etsy for $7. 14. 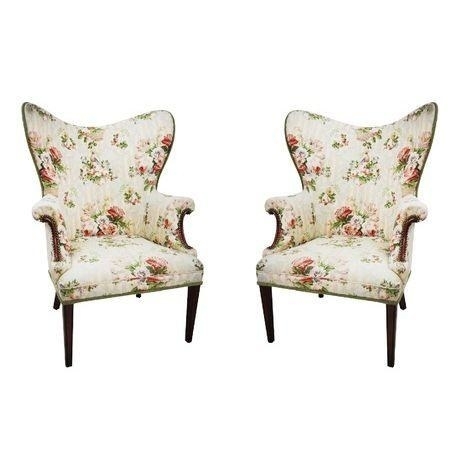 A set of floral wingback armchairs that look straight from the Beast’s parlor. Get them from Chairish for $950. 15. A bookshelf that is the definition of "Home Library Goals." 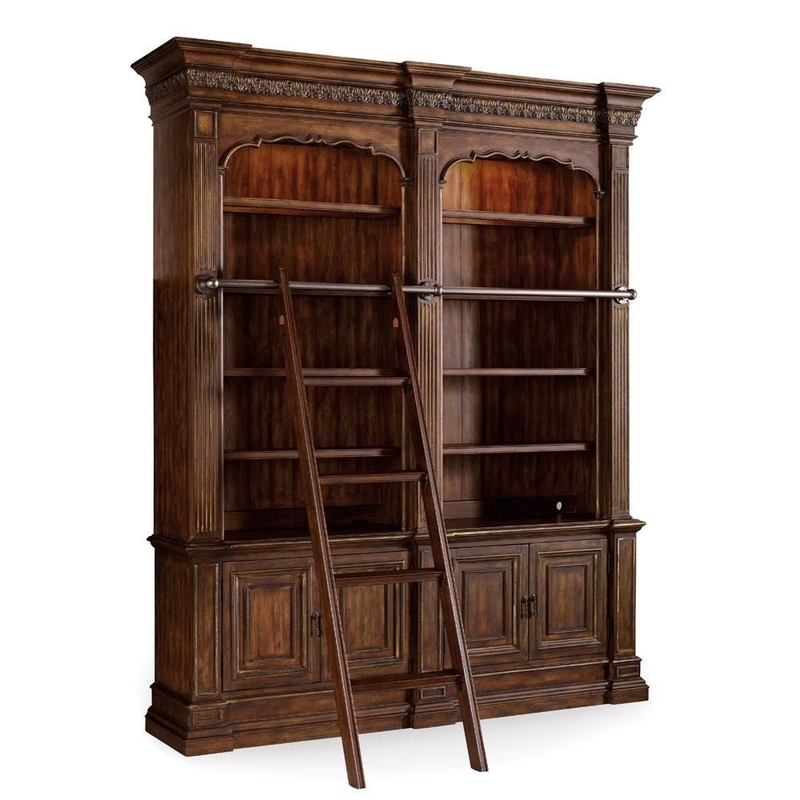 Get it from Wayfair for $4,939. 16. 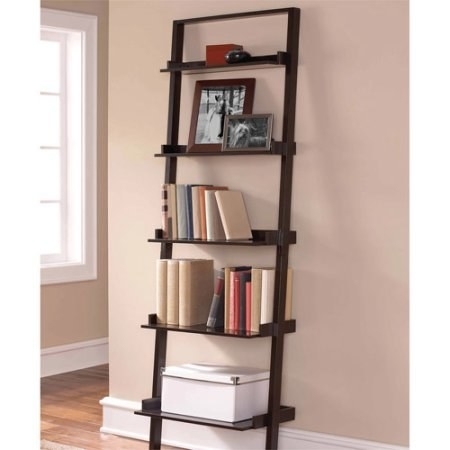 Or a budget-friendly ladder bookcase that may be the best option for your current book storage needs. 17. 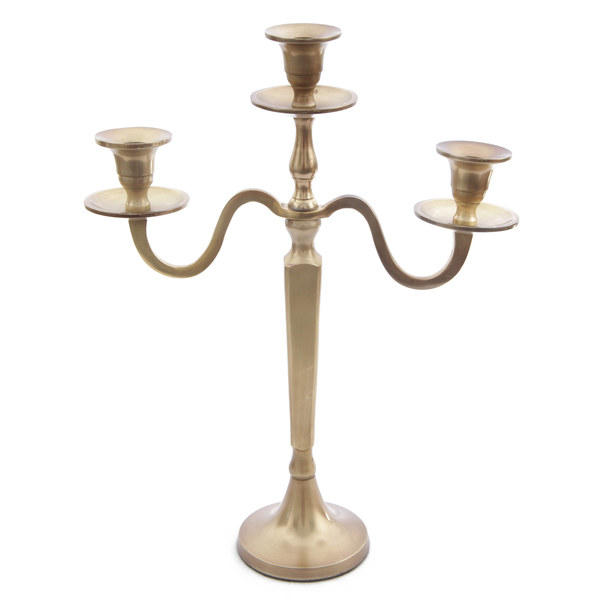 A gold candelabra that will effortlessly steal the show like Lumière. Get it from Overstock.com for $55.49. 18. An antique wood burning stove so you can be a beast in the kitchen like Chef Bouche. 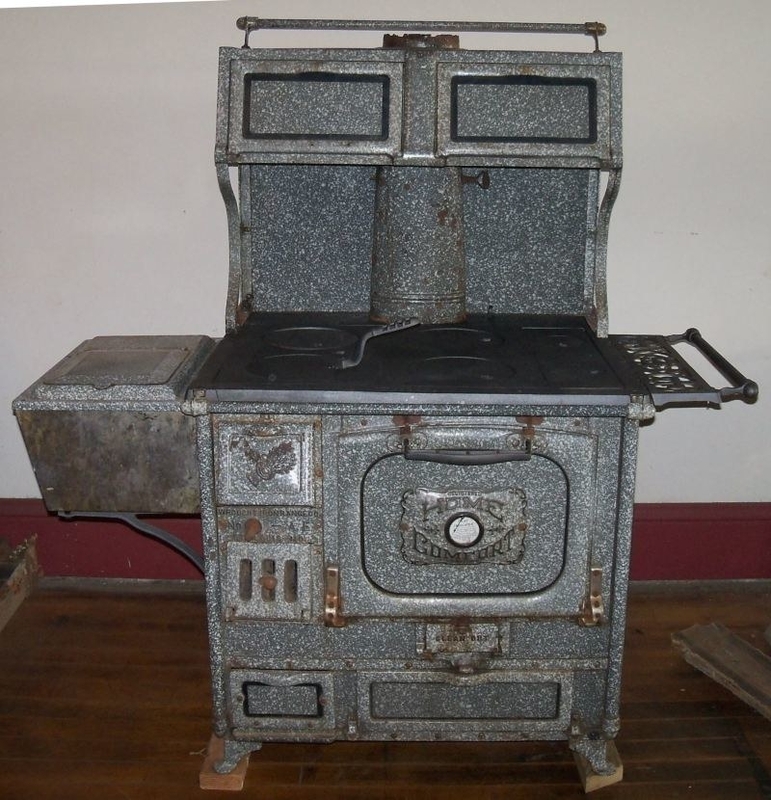 Get it from Antique Stoves for $2,450. 19. 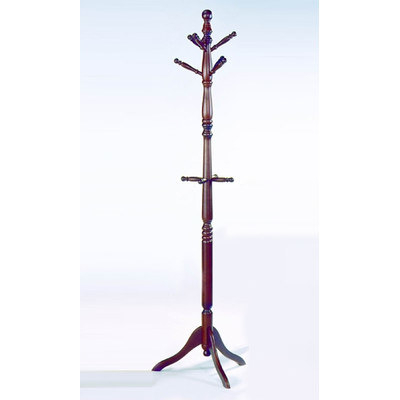 A coat rack that can clearly hold his own. 20. 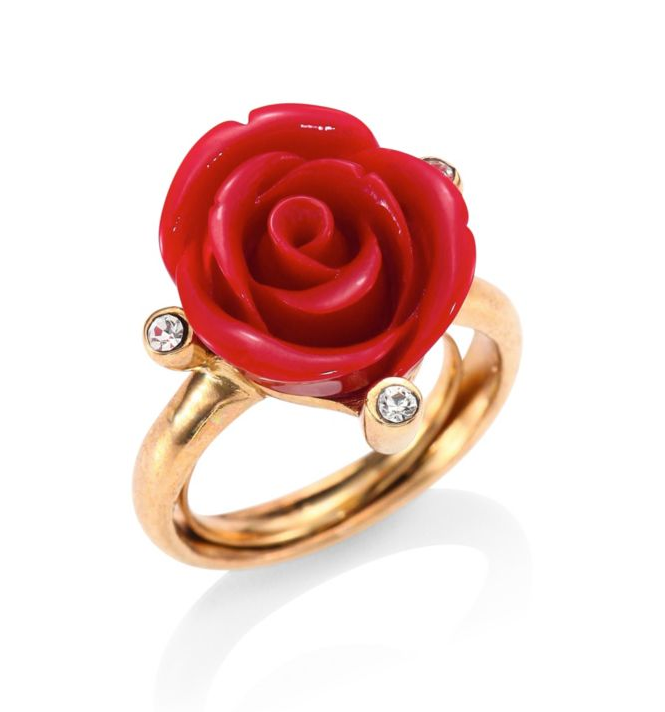 And finally, a delicate rose ring to always remind you not to be deceived by appearances, for beauty is found within. Get it from Saks Fifth Avenue for $190. Because there’s truly no better tale as old as time.